Join us as we travel from the nearest paved road to the house that we will be house-sitting for the next 4 months. The road into the ranch is roughly 6 kilometers long and takes approximately 40 minutes to drive. In this video, our commute to civilization is sped up 8 times to give you the full experience of traveling into the remote interior of Baja Norte. 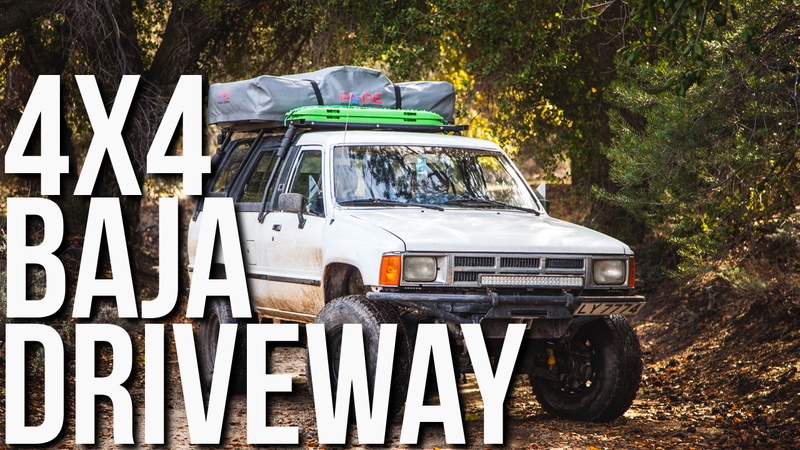 We are traveling in our 1986 Toyota 4Runner 4×4 with a set of Old Man Emu leaf springs and Bilstein shocks. The ride is rough, but would be much worse without the suspension upgrades. Our tires are Bridgestone All Terrains that have plenty of grip for all of the sand, slick rock, and mud that we experience in Baja. The tires were aired down to roughly 70% of highway pressure for the road and will likely be aired down a bit more the next time we leave the house. Please follow us on Instagram and Facebook to stay up to date on our travels and to know when new content is posted.